This is the Season of Pride! Festivals and parades continue each week and span across different months around the world. Some are loud and colorful celebrations with dancing and singing met by thousands of cheers, while others are protests, cries for justice, met with police, tear gas, and arrests. 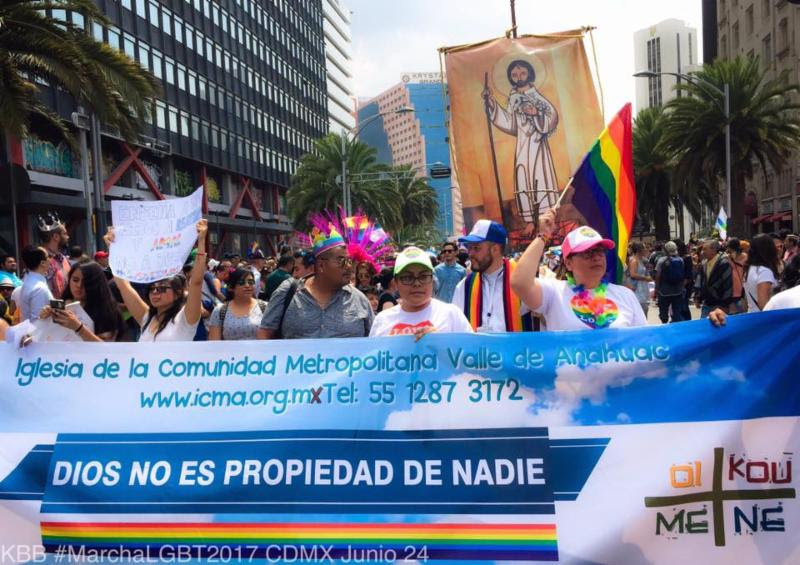 MCC has always been a symbol of grace for everyone, regardless of belief, serving as community leaders, Grand Marshals, and participants in Pride activities. MCC was founded in 1968, a year before the riot at Stonewall Inn when gender transgressing queer folks barricaded the police inside the bar. It was a moment of revolution and spontaneity that still characterizes most Pride events. The riot was a watershed moment for human rights and TLGBQ activism. Today, the global movement continues with protest, resistance, and celebration that demands justice in the face of hate. For the third year in a row, officials in Turkey shut down a pride march, despite the previous decade of peaceful marches by thousands. Police aimed water cannons from trucks at the demonstrators while last year, transgender demonstrators gathered despite the ban and were attacked with rubber bullets and tear gas. TLGBQ refugees from all over the world were the Grand Marshals for the Pride Parade in Columbus, Ohio, this year. Many are from Africa and are still afraid to use their full name for fear of retribution against their families in their countries of origin. Black Lives Matter and transgender leaders challenged event planners and participants with the realities of ICE and police violence. Transgender leaders in Chicago, Illinois, lifted up Sylvia Rivera and Marsha P. Johnson, trans women of color, who created the Christopher Street Liberation March in New York City in 1970, a year after Stonewall, and were banned along with all transgender people by 1973. As people of faith, we know the power of symbols and ritual–inclusion and exclusion. Over these weeks, we have marched, prayed, remembered, carried signs, and waved flags. The rituals of a community parade – the lighting of candles, symbolic flags, signs, clothing – share the power of this powerful and sacred movement. he asked Jesus, ‘And who is my neighbor? We also know the cost of hatred. 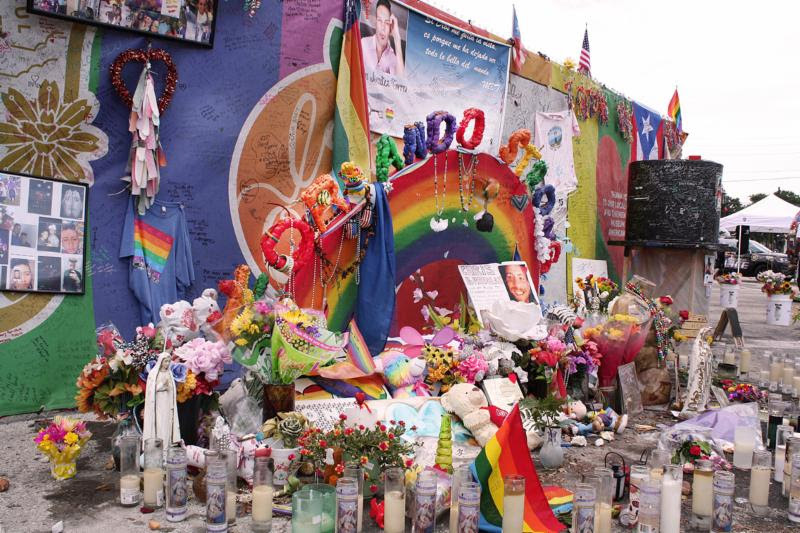 The sacred ground of Pulse nightclub in Orlando, Florida, reminds us, and the world, this movement is more than a struggle over ideas. Our work and gathering is because of real, living and loving people. When hate destroys, love gathers and wins. The outpouring of love during the one-year Pulse anniversary was tangible. Your messages, pictures, memorials, and candles from around the world during MCC’s virtual memorial service created sacred community as we remembered the victims. As we already know, the people murdered and injured at Pulse nightclub were mostly Latinx persons. This matters. In many parts of the world, the majority of TLGBQ persons murdered have dark skin and are transgender women. This matters. Race cannot be ignored. Just a few weeks ago, in Philadelphia, Pennsylvania, city leaders added black and brown stripes to the top of the rainbow flag and faced sharp criticism, but the stripes reflect both history and current realities in the USA and many parts of the world: persons of African and Latinx descent face bigotry. As we join together to expose and challenge this bigotry, change is happening. The Confederate flag is coming down and Confederate statues are being removed in New Orleans, Louisiana, and possibly Richmond, Virginia. Our symbols represent our history and define our present reality. TLGBQ people use symbols to visually raise awareness. It is what we do! We use the pink triangle as a symbol of resistance when it had historically been used to identify queer people during the Holocaust. Our communities create and adopt the symbols our communities need. on 18 June 2017. Kimberly Brown (left) is a member of the MCC Governing Board. Also pictured: Rev. Nathan Meckley, Senior Pastor; Jason Houser, and Dylan Patterson-Sims. 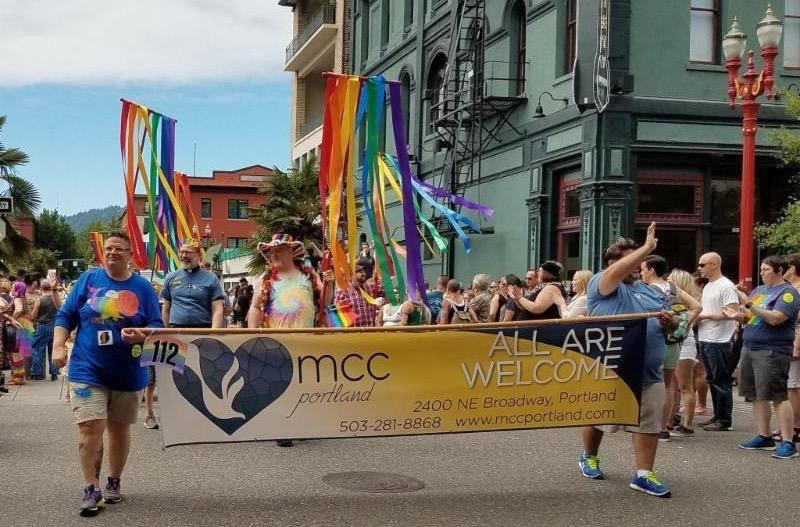 MCC Portland has participated in Pride events since 1978. Since 1968, before the Stonewall Riots, before Pride marches, before the creation of the Pride flag or other symbols of liberation and protest, we set the Open Table. It was and is our symbol of a place where all are fully included, blessed, and celebrated each time we gather. No one thought it would be possible that people of different traditions, professions, or cultures could agree to experience the unrestricted love of God and commune in a sacred moment of sharing bread and cup. Yet, the call to “Come, taste, and see” is still so important. MCC has shown the world that people of all or no particular faith tradition as well as all races and genders can gather and form a community. We work faithfully to honor all people. be stretched out; do not hold back; lengthen your cords and strengthen your stakes. will possess the nations and will settle the desolate towns. In this time of Pride in the era of Pulse, increased hate crimes, and challenges to human rights, please do not put away the flags, signs and banners. Hang them inside and out, make new symbols, start new rituals. Expand to meet the spiritual needs that call for justice. The people are crying out to us. This is our time – do not hold back!